Today is glorious. It's the perfect spring day but it's in August. 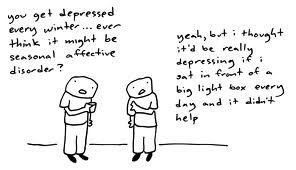 It's just amazing how much the weather seems to affect my moods, struggling for a long time with Seasonal Affective Disorder (SAD) which I am sure many, many people do. Am thankful I don't live in Finland. Today am on top of the world. Have taken Barnstormer to Ballet, have sat in the sun and watched Hammerhead get the wax off all the surfboards and am now trying to finish my mountain of housework blog uninterrupted while HM and F-i-l watch the football. I even spent five minutes chatting pleasantly to the [usually] cranky deli owner about the weather. 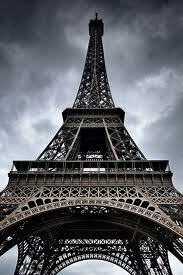 Today I am as high as the Eiffel Tower. At least you don't live in the uk !! Why do you think I moved to south of France?!!!! Glad you're having a great day Hun!!! Positive thinking!!!! We are having a beach day, too hot to do anything else !!! I love those almost spring days in perth... almost makes me miss it. Enjoy it- Ive just returned from tropical paradis and my internet is down at home so have been a bit slow on keeping up with the blog...look forward to seeing you soon though!